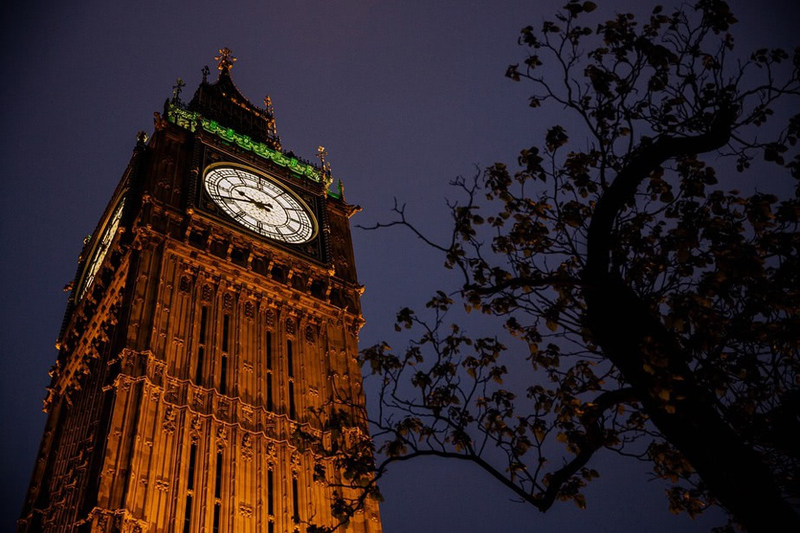 Big Ben has fallen silent to allow a major restoration programme to begin – and powered access equipment supplied for a contractor from JMS is carrying out important restoration work. JMS has supplied a JLG 1200 SJP telescopic boom to a contractor repairing the iconic British landmark in Westminster, London, and a TV documentary is also being made of the work carried out. Big Ben chimed for the last time for four years on Monday 21 August. It will remain silent to protect the ear drums of conservation teams as they work on the Elizabeth Tower, which houses the huge clock. Big Ben falls silent for 4 years. The restoration project on one of the world’s most famous buildings – and the stopping of Big Ben’s bongs – are events of global interest, which is why a TV documentary is being made. The JLG 1200SJP has a working height of 38.4 metres – over a third of the height of the Elizabeth Tower, which stands at 96.1 metres. Its outreach of 22.86 metres is also ideal for safely operating up and over other buildings in restricted spaces, like those around the Houses of Parliament. If filmmakers need to get shots from an even greater height, that is not a problem. 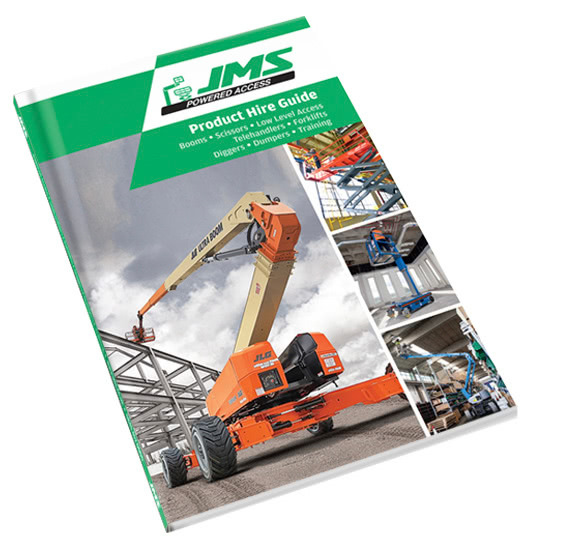 JMS can supply the world’s largest aerial boom, the JLG 1850 SJ, which has a working height of 58.56 metres – six metres higher than Nelson’s Column – and an outreach of 25.03 metres. 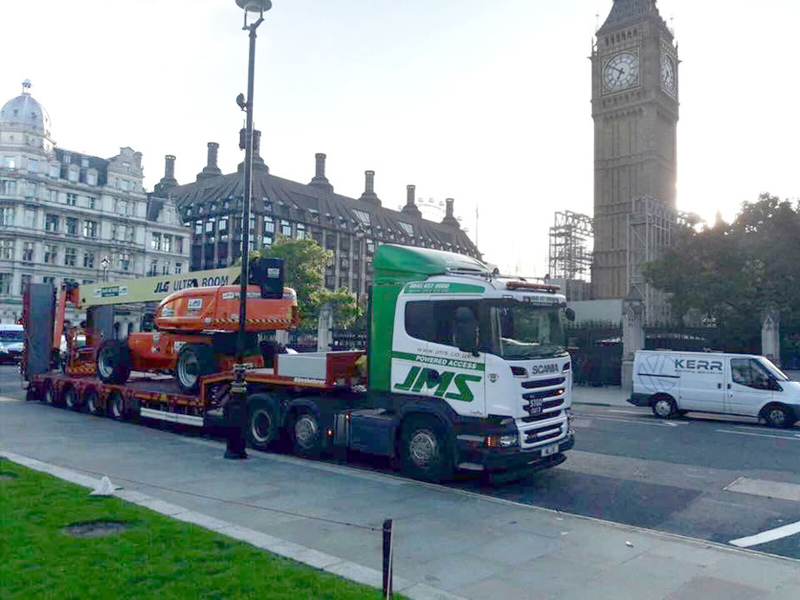 JMS delivering the JLG 1200SJP diesel boom lift to the iconic Big Ben, London. JMS is a national powered access hire service, with depots in Harpenden, Hertfordshire and Leeds, West Yorkshire.